Jamaica has a rich culture which has emerged from a mixture of many nations, including Africans, Europeans and Asians. This emergence has resulted in a excitingly new and unique language from we call Patois. 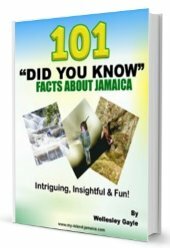 Pronounced "patwa" it is the native tongue of all Jamaicans, although English (Jamaican English) is the official language. Patios is also referred to as Broken English or Creole. The Patois language is identified by a distinctive accent which is indigenous to only ‘Jamaican born and bred individuals’. 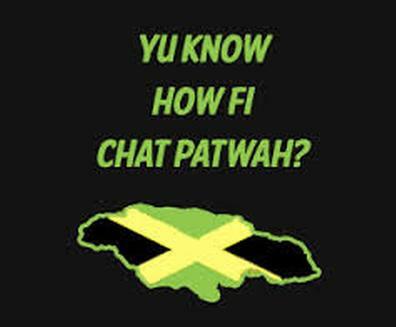 Although it is influenced by other nations, Patois is primarily derived from a culmination of the English and African languages, although some elements of it are taken straight from other languages. For example, words such as duppy- meaning ghost, and obeah- meaning witchcraft, are both derived from an African language from the Igbo Tribe in Western Africa. The word ganja meaning marijuana or cannabis was taken from Hindus. Another Patois word, pickney meaning child was taken from the Portuguese. The Patois language is heavily evident in the entertainment industry. Songs which are typically DJ (Rap) music are widely recorded and performed in Patois. Top Jamaican artists such as Beenie Man, Elephant Man, Bounty Killer, Buju Banton and Shabba Ranks are a few of the artists who have enlivened dancehall reggae music and has helped spread patois across the world. In the midst of our wonderful expressive words are local versions of curse words with "claat" being at the end of each creative word and this was derived from the Australian’s use of "bloody" at the end of words for their swear words. Patois is an expressive language and the passion of the Jamaican people can be heard deeply embedded in this speech. 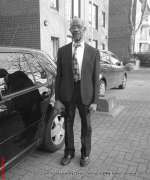 While standard British English is used for writing and professional or formal verbal communication, Patois has also been promoted and publicized worldwide. Patois was later taken abroad more widely in books, dialects and poems by the honorable Louise Bennett-Coverly (1919 to 2006). She was not only able to write the language, but speak it and translate it eloquently for the world. As top class speaker and actress, she was able to depict the culture, passion and experiences of our Jamaican people through Patois. Amidst some opposition, there have been serious talks and plans of translating the Bible into Patois and having local newscasts read in Patois. In addition, there are presently local newspaper articles already written entirely in Patois which are being enjoyed by locals and visitors. What a gwaan? What’s going on? Go sih dung. Go and sit down. Likkle more. See you later. 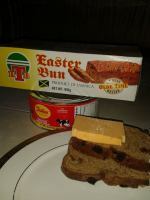 Mek wi dweet. Let us do it. Hop affa mi. Leave me alone. Back to Top of Jamaican language.